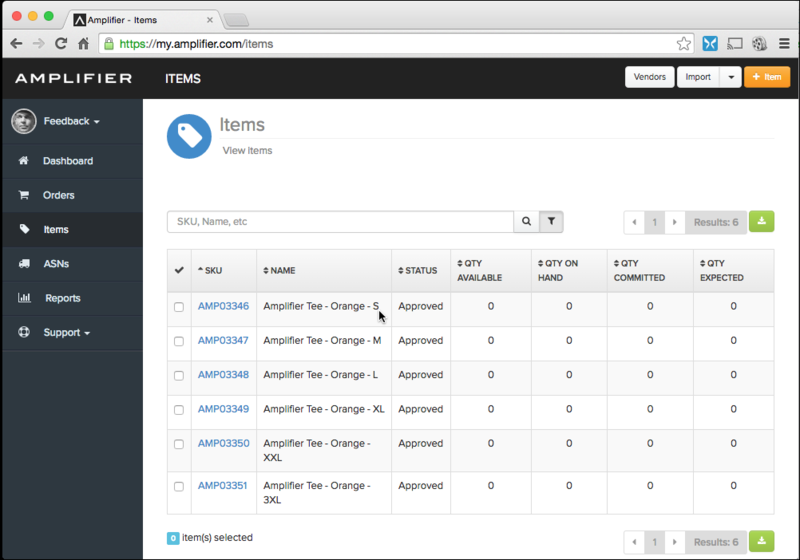 For those with large product catalogs, Amplifier recommends you Import Items. 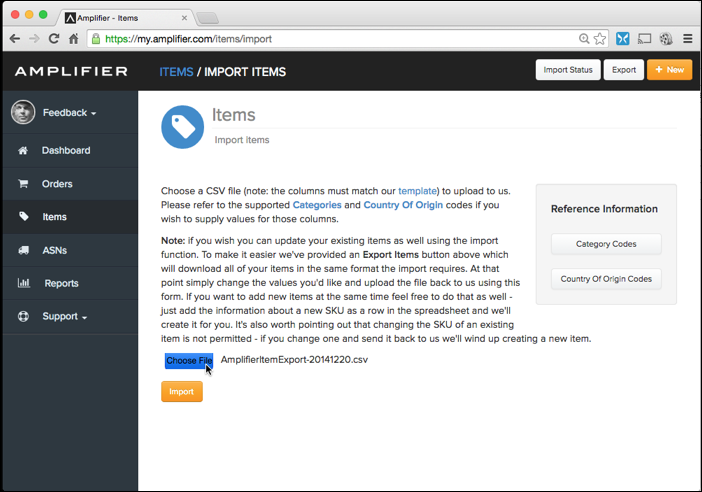 Once your CSV file is complete, you can Import your Items to Amplifier. Amplifier verifies your CSV file. Our Import Status page will show you how many ITEMS were successfully imported. 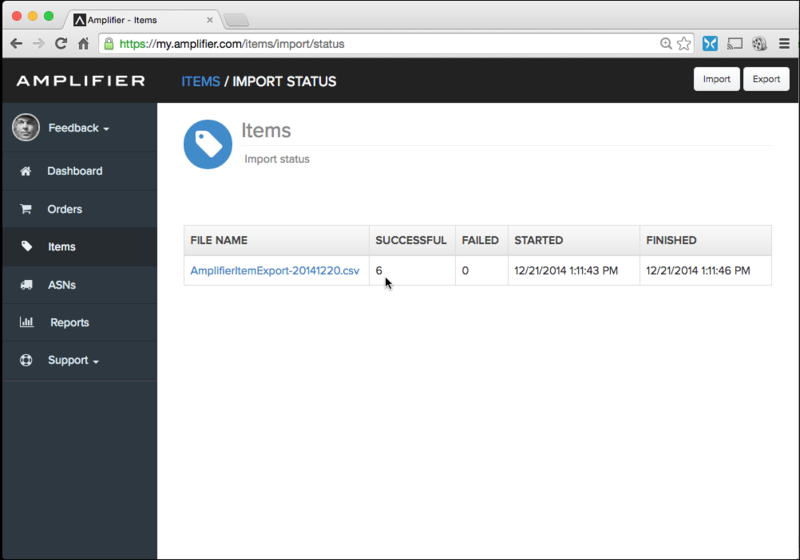 If Amplifier found errors in your data, you will be notified.